A woman who worries about carrying a .38 special in her purse, nearly drowns in a desert canyon, flies into the war in Bosnia, dances with the FBI, tells Geraldo he shouldn’t put guests in hotel rooms with rats and spends time with murderers, has more than a few stories to tell. 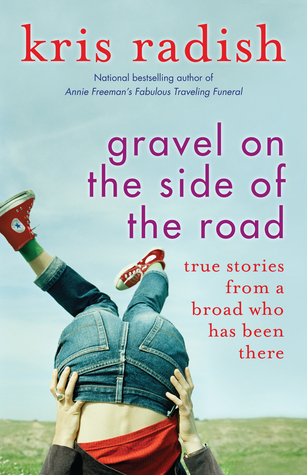 Gravel on the Side of the Road-True Stories From a Broad Who Has Been There is a daring and revealing adventure itself. Beloved novelist Kris Radish returns to her non-fiction beginnings with her first, but not last, book of autobiographical essays. Her writing career has spanned four decades and has included award winning newspaper work, magazine features, a national syndicated column, eleven books and enough stories and adventures to fill up many more. Radish’s talent for telling it like it is, sharing the wit and wisdom of a life lived mostly on her own terms and her keen sense of humor are highlighted in these stories- some of them old- some of them new, but all of them a glimpse into worlds many never dare to enter. This author always lives in a world where nothing is sacred but the sweet emotions of the heart. Sitting down with author Kris Radish's Gravel On The Side Of The Road-True Stories From A Broad Who Has Been There, is less like opening a vignette styled memoir, and more like sitting down with a well traveled friend over coffee. Though it becomes quite apparent from the opening pages of this read that the author's pool of experience is vastly deeper than that of the majority of her readers. The disarming frankness and lyrically descriptive writing style she employs, draws the reader into each story like a moth to a very intense flame. That is not to say that the stories here are an amalgam of action-packed, edge of your seat, white knuckle thrill rides. No, we'll happily leave those to your great-uncle Mort, with the questionable war wound; who you only see on Thanksgiving and Christmas. 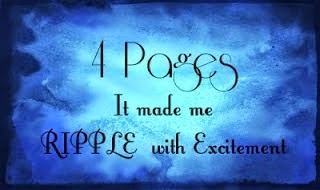 What Kris presents readers with are those moments from life that cause one to think, feel, and reflect. Moments that may not have been experienced by the same people in the same way or even at the same time, but strike a universal cord of understanding nonetheless. The stories found in this collection were compiled from various aspects of the author's life and are arranged in a random hodgepodge of sorts; that keeps one eager for what the next page might hold. This is a wonderful peek at a brilliant life, an artistically rendered work in progress painted in the hues of joy, pain, epiphany, and love. Kris started writing the moment she could hold a pencil. 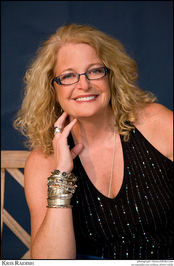 She grew up in Wisconsin, graduated from the University of Wisconsin with a journalism degree and hit the ground running. Her father calls her "the tornado". She worked as a newspaper reporter, bureau chief, nationally syndicated columnist, magazine writer, university lecturer, bartender, waitress, worm harvester, window washer....to name a few. Her first two books were non-fiction and then Radish became a full-time novelist. The Elegant Gathering of White Snows, Dancing Naked at the Edge of Dawn, The Sunday List of Dreams, Annie Freeman's Fabulous Traveling Funeral and Searching for Paradise in Parker, P.A., The Shortest Distance Between Two Women, Hearts on a String, Tuesday Night Miracles have won her acclaim and a great following. Her ninth novel, A Grand Day to Get Lost was released April 1. Her tenth novel, The Year of Necessary Lies and a non-fiction book, Gravel on the side of the Road-Stories From A Broad Who Has Been There will both be published in 2014. Radish is also working on her next two novels and another work of non-fiction.